As vice president of marketing for Pioneer’s Car Electronics Division, Ted Cardenas is responsible for overall brand strategy, sales initiatives, promotional activities and advertising. He and his team focus on the primary goals of educating consumers about Pioneer’s in-vehicle entertainment, navigation and connectivity solutions, while building excitement and demand that directs them to its retail and distribution partners. Cardenas began his career at Pioneer in 1996 as a product specialist, providing training and support for car and home electronics dealers. He quickly rose through the ranks and in 1997 he was promoted to district sales manager, covering the Northwest Territory. 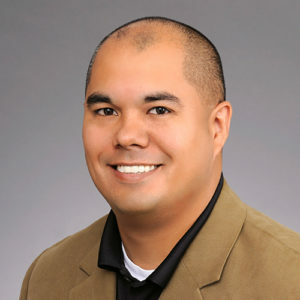 In 2000 Cardenas made an important career transition when he moved to Pioneer’s California headquarters and became brand manager for the mobile business group’s marketing division. In 2007, he moved into a management role within Pioneer’s product planning department, working closely with Japanese engineers and design teams across all U.S. mobile electronic product lines. In February 2009, he was brought back into the marketing department as the director of marketing to help in promote the category through advertising, public relations and sales promotions. In early 2012 Ted was promoted from director to his current role as vice president of marketing.